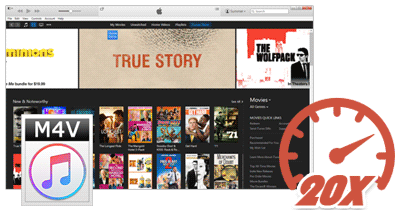 The best iTunes M4V to MP4 Converter! Remove DRM legally from iTunes rentals & purchases. Convert DRM-ed M4V to MP4, MOV, AVI, MP3 and more with all audio tracks, subtitles, AC3 dolby 5.1 audio and audio descriptions retained. 100% lossless quality kept. Convert Apple Music, audiobooks, M4P audio! 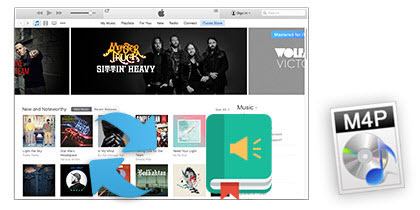 An All-in-one iTunes audio converter which can work as Apple Music Converter, Audiobook Converter and M4P to MP3 Converter. Convert audio files at 20X faster speed with lossless quality kept. Keep ID Tag. Download Spotify songs to MP3 easily! A Powerful Spotify music converter which is designed for Spotify user to convert or download any Spotify music track to other popular audio formats like MP3, AAC, FLAC or WAV with lossless quality. Powerful Apple Music to MP3 converter! An easy-to-use yet powerful Audio converter for converting Apple Music at ultra-fast conversion speed. 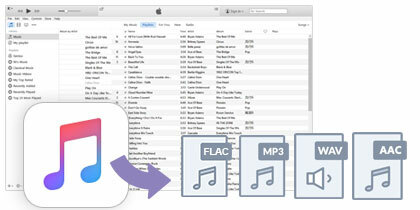 It converts those downloaded M4P songs to MP3, M4A, FLAC or WAV for offline playback on any MP3 player. 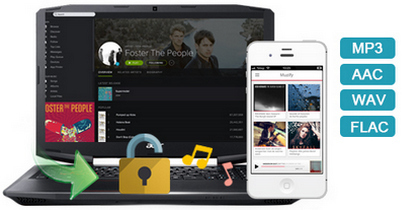 The best Spotify music to MP3 converter! Professional Spotify Music Converter to help users remove DRM from Spotify music and convert Spotify songs to plain MP3, AAC, WAV or FLAC for playing on other devices offline. It converts Spotify music with lossless quality. Aura4you software: DVD Ripper + DVD Cloner + Video Converter + Audio Converter + YouTube Downloader + More! Rip DVD to AVI, MP4, FLV, MPEG videos and more. Rip DVD movies for iPod, iPhone, iPad, PSP, mobile phones and more. Download YouTube videos. Backup DVDs with this one-click DVD copy software. Decrypt any DVD protection and clone DVD. Copy DVD to PC and burn ISO to DVD disc. Create video movie with images, music and subtitles to MPEG4, MPEG2, FLV and HD videos for iPod, iPhone, iPad, Zune, Creative Zen, mobile phone, etc. Convert all kinds of audio files to MP3, WMA and WAV formats and preserve album information such as album art, title, artist and other ID3 tags. Convert nearly all videos to popular formats like MP4, FLV, WMV, MPEG, AVI... Make videos for media players. It's also an YouTube downloader. Download YouTube videos, Nico videos and other web videos. Batch download at fast speed. Converts Flash (.swf) files to AVI, MPEG and MP4 videos. Dynamic customizations. Rip DVD movies for playback on Sony PSP. Convert MPEG, AVI, WMV and many other videos for PSP. Also support Sony PS3 and Sony Walkman. Play FLV videos. Publish your videos to webpage with Flash templates. An easy-to-use professional Flash video application. The free video converter is able to convert AVI, MOV, RM, FLV, MPEG and other videos to WMV, MP4, FLV, 3GP,MPEG and even MP3 audios. Whether you want to make copies of your DVD collection, rip DVD movies for watching on your iPod or Nokia N97 mobile phone, convert a piece of video clip from AVI format to MP4 format, edit professional home movie DVDs, or download your favorite YouTube videos, Aura4You can help you do it, in a simple and easy way. Watching DVD movies on TV is great. But sometimes you may want to watch the movie on portable media players, like iPod, mobile phone, or PSP, etc. Or you just want to rip the sound tracks from the DVD and listen to it with eyes closed. That's why you need Aura DVD Ripper. Aura DVD Ripper is able to rip all kinds of DVD video titles, except those are encrypted with copy-protection schemes, to MP4, AVI, WMV, FLV, 3GP, MPEG, SWF, H.264, iPod videos, PSP videos and 50 more other video profiles for different media players and platforms. Audio is commonly stored in DVD using the Dolby Digital (AC-3) or Digital Theater System (DTS) formats, and/or MPEG-1 Layer 2. With Aura DVD Ripper, it's easy to rip the audio to MP3, WMA, OGG, WAV or AAC format. You can select chapter, subtitle, language and even camera angle of the DVD video for conversion. Which part of the DVD movie should be converted is up to your decision. 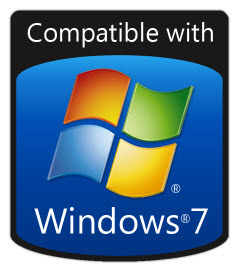 The DVD ripping application supports DVD Video discs using either 4:3 or 16:9 aspect ratio, 720×480 (NTSC) or 720×576 (PAL) resolution. Support for Blu-ray Disc is under development now. Hopefully you will be able to rip Blu-ray movies with Aura DVD Ripper in the near future. Video conversion is necessary for making videos in a certain format playable in another device or platform, especially when the existing videos are in an unusual format, like MPV, VRO and DVR-MS. Aura Video Converter makes it possible and easy to convert videos from one format to another format. Converting AVI videos to FLV format, converting VOB movies to MP4 format, converting M2TS videos to WMV and more, Aura Video Converter carries out every video conversion at fast speed and preserves high quality. Need to custom and control the video conversion? No problem. There are plenty of customizable audio/video parameters for advanced users, like video codec, video size, video bitrate, video frame rate, audio codec, audio bitrate, audio sample rate, audio channel, etc. Every media player, media player software like iTunes, Windows Media Player and RealPlayer, portable media player like iPhone, iPad, iPod, Zune, Nexus 7, Android, PSP, Nokia, Samsung Galaxy S III, Kindle Fire HD, etc. has a different set of specification, different audio and video support. For instance, Apple iPod touch may support H.264 video, up to 1.5 Mbps, 640 by 480 pixels, 30 frames per second, or MPEG-4 video, up to 2.5 Mbps, 640 by 480 pixels, 30 frames per second; while Microsoft Zune MP3 Player supports WMV – CBR or VBR, up to 3.0 Mbps peak video bit rate; 720 pixels x 480 pixels up to 30 frames per second and others. Video file format, video codec, video container, video frame rate, audio bitrate…these names might be confusing for common users. Sometimes it's just hard to create proper videos for iPod and other media players. With Aura Video Converter, you never have to mind this. We have made every output profile ready-to-use. Dedicated video output profiles include Nokia N-Series video, iPod nano video, iPod touch video, iPhone videos for 480p TV Out , iPhone videos for 576p TV Out, Sandisk Sansa video and more. Just add source videos to the converter program, choose an output profile from the list, and then hit the Convert button. DVDs can become scratched, damaged and even completely unusable over time. Aura DVD Copy helps you backup your DVD collection with one-click solution. The DVD copy software has advanced ripping and burning engines for decrypting DVD protections and cloning DVDs. You can copy DVD-5 (single-layer with 4.7GB capacity) disc to DVD-5 disc, DVD-9 (dual-layer with 8.5GB capacity) disc to DVD-9 disc, or even copy one DVD-9 movie into two DVD-5 discs. Besides copying DVD to DVD, Aura DVD Copy program can also copy DVD movies to your computer, as well as burn DVD folder and ISO image file to DVD disc. Disc types supported by Aura DVD Copy include DVD+/-RW, DVD+/-R DL and DVD+/-R.
Aura4You offers two applications for converting audio formats, Aura Video to Audio Converter and Aura Audio Converter. They can convert video to audio and convert between audio file formats, respectively. 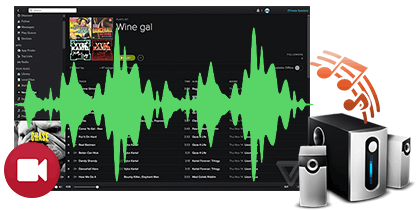 If you want to "listen videos", you may use Aura Video to Audio Converter to extract sound tracks from MPEG, AVI, RMVB and supported videos files, and save them in audio formats like MP3, WAV, WMA and AAC. Another audio conversion program, Aura Audio Converter, is a professional audio file format conversion product, which can convert virtually all types of audio files to the most common and popular MP3, WMA and WAV formats. Aura Audio Converter supports AAC, M4P, M4A, WMA, MP3, WAV, AIFF, AU, FLAC, MPC, RAW, RA, ogg, Audiobook and even CD as input formats. Supported digital music services include iTunes, Napster, Rhapsody, Zune, Yahoo Music, Sony Connect, AOL Music, Virgin Digital, Beon Music, Peer Impact, iMusica, BlackBerry, Wal-Mart Music, JPongen and Audible. You can convert any music purchased from these online music stores to MP3 for your iPod, mobile phone or any other type of media player. People love to watch YouTube videos. Have you ever thought of downloading YouTube videos to your computer? Aura YouTube Downloader can download all kinds of YouTube videos, wether in normal quality, or in HD like 480P, 720P, 1080P, Aura YouTube Downloader help you download all. No more angry of the slow internet speed, Now you can watch YouTube videos anytime you want on your PC! Aura4You even provides a YouTube Converter to help you enjoy YouTube videos on your portable media player. Aura Video Converter can not just download but also convert YouTube videos to your media player device like iPod, iPhone, iPad, PSP, mobile phones, etc. Enjoy and share YouTube videos on the go! All Aura4You programs are shareware that are downloadable for free trial. If you feel satisfied with the software, you can buy a copy of Aura4You license and use all programs. Purchase lifetime unlimited license or one year license to get all 12 programs now. We bear in mind that timely response to customer requests is critical for building trust and brand. And we respond to emails from all users, whether they buy product or not. Better user experience is always our first priority. So if you got any question, please feel free to contact us.